Whitehouse Laboratories is pleased to announce the official addition of Water and Environmental Monitoring Analysis to the Microbiology Laboratory. This addition provides new and existing clients the opportunity to have water systems and environmental monitoring programs validated and routinely analyzed concurrently with their other analytical assessments. This will also enable Whitehouse Labs to better serve our customers. “Whitehouse Laboratories has long positioned itself as a ‘one-stop-shop’ for analytical support of API to finished product packaging. The addition of this testing capability is a logical step in the realization of this vision” states Brandon Zurawlow, Associate Director of Container Testing & CCIT. Water testing is performed to evaluate whether water systems are under acceptable levels of control, producing high quality water for manufacturing and cleaning purposes. Environmental monitoring testing is performed to evaluate whether environmental controls provide sufficient air and surface quality for the processes taking place, either sterile fill/finish, or aseptic processing. Enumeration of microorganisms is a critical component in water testing. The assessment of the microbiological quality of water used in manufacturing is a key indicator of system control. If microorganisms are present in incoming water it can compromise the purification steps. Early detection is a necessity in preventing the formation of biofilms. 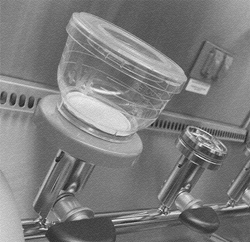 Bioburden testing includes the quantitation of microbes such as aerobic plate count, yeast/mold count, heterotrophic plate count, total coliforms, coli, Enterococci, Listeria and Pseudomonas aeruginosa. This new capability in the Microbiology Lab enhances the existing water analyses services already available at Whitehouse Laboratories, including Heavy Metals, Nitrates, TOC, and Conductivity.